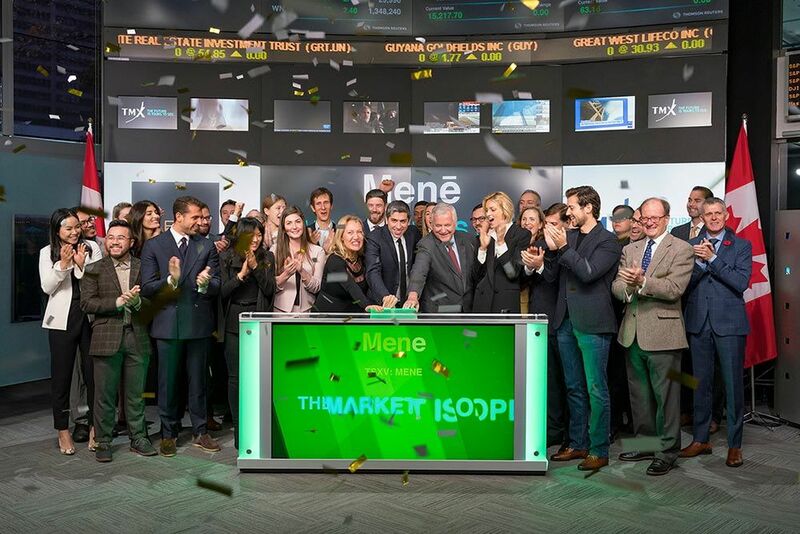 Since launching www.mene.com in January 2018, Menē has sold over 11,000 unique pieces of jewelry, worth $7 million, to customers in more than 53 countries. These sales were achieved direct-to-consumer, building long-term global customer relationships with a superior business model that does not require a physical storefront. The Company has consistently sold out of its top designs, has a waitlist that presently exceeds $1 million, and suspended 99% of its paid marketing activities after it achieved record sales exceeding $1 million in August 2018. Mr. Sebag continued: “We have now de-risked the most pressing initial challenges, with a vibrant brand that has touched the lives of thousands of people and is now growing entirely through organic channels such as word of mouth, something I did not initially predict. I am confident that while many challenges remain, Menē, like Goldmoney, has now cemented itself as both a brand and business that will grow shareholder value and prosper. Like BitGold, which I founded and took public on the TSX-V in 2015 with less capital than Menē." 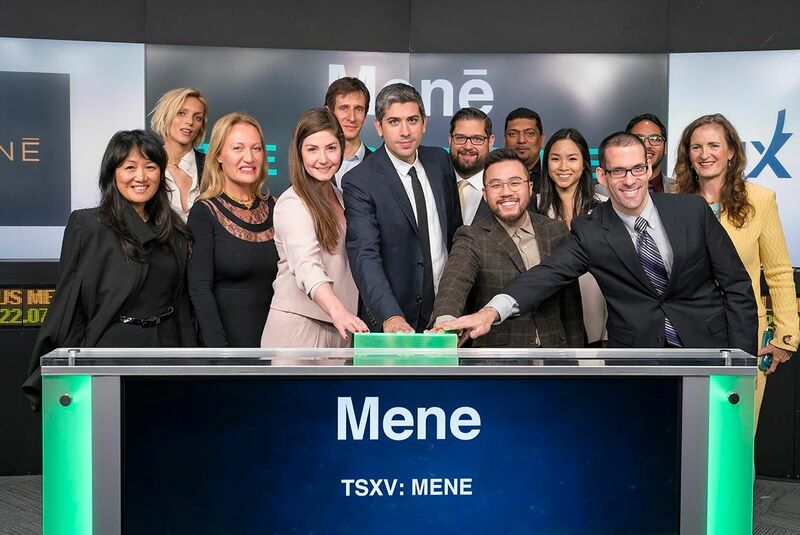 After completion of the Business Combination, Menē’s board of directors is comprised of Roy Sebag, Joshua Crumb, Shireen Jiwan, Steve Fray, Tommaso Chiabra, Michele Ashby and Thomas Kennedy. Menē’s officers are Roy Sebag (President & Chief Executive Officer), Diana Widmaier-Picasso (Chief Artistic Officer), Steve Fray (Chief Financial Officer & Secretary), Jacquelyn Humphrey (Chief Operating Officer), and Sunjoo Moon (Chief Creative Officer). The securities described herein have not been, and will not be, registered under the United States Securities Act of 1933, as amended (the “U.S. Securities Act”) or any state securities laws and accordingly may not be offered or sold within the United States or to “U.S. persons”, as such term is defined in Regulation S promulgated under the U.S. Securities Act (“U.S. Persons”), except in compliance with the registration requirements of the U.S. Securities Act and applicable state securities requirements or pursuant to exemptions therefrom. This news release does not constitute an offer to sell or a solicitation of an offer to buy any of Menē s securities to, or for the account or benefit of, persons in the United States or U.S. Persons. Menē crafts pure 24 karat gold and platinum jewelry that is transparently sold by gram weight. Through Mene.com customers may buy jewelry, monitor the value of their collection over time, and sell or exchange their pieces by gram weight at prevailing market prices.​ ​Menē was founded by ​Roy Sebag​ and ​Diana Widmaier-Picasso​ with a mission to restore the relationship between jewelry and savings. Menē empowers consumers by marrying innovative technology, timeless design, and pure precious metals to create pieces which endure as a store of value. ​For more information about Menē​, visit: ​mene.com​. Chief Operating Officer, Menē Inc.